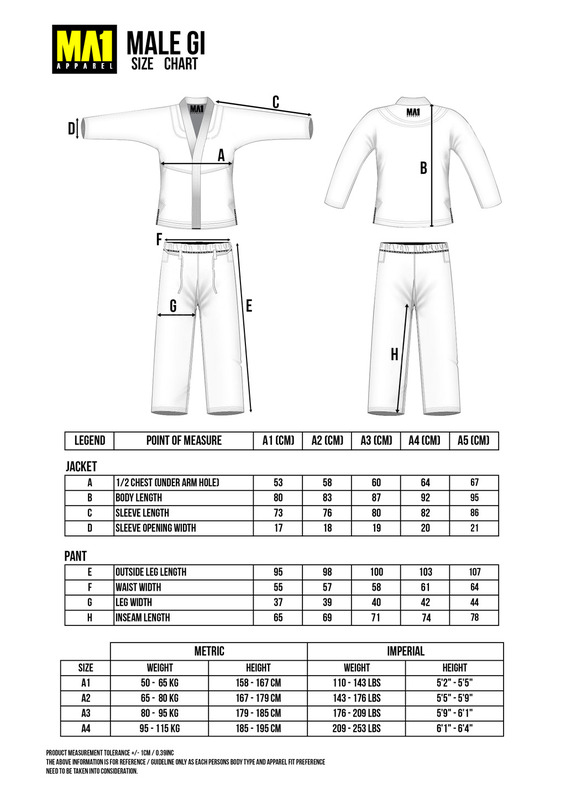 This is our MA1 entry level Gi. Ideal for people that are just wanting to get into BJJ and don't want to spend a fortune. White in colour, this Gi is perfect for getting psyched up for your BJJ sessions. The Gi are set with our MA1 logo print over the shoulder and around the ankle band. Please contact us on sales@ma1.com.au for a quote or Click Here to view our large range of apparel.